The 92FS Fusion is the result of careful design research, with the objective of striking the perfect balance: the fusion between tradition and innovation. 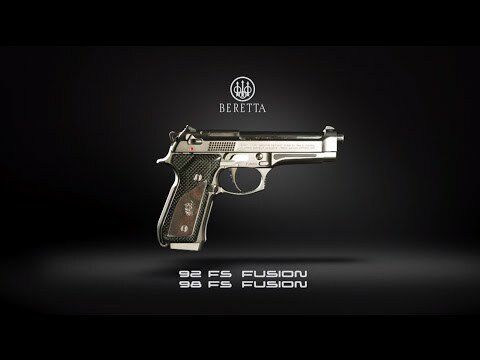 This new Limited-Edition gun reinterpreted the glorious 92FS, combining cutting-edge technology with the craftsmanship that made luxury Beretta firearms world-famous. Such reinterpretation produced a pistol with a classic and solid design and a captivating style, rich in luxurious details. • 30 pcs of 98FS FUSION (cal. 9x21 IMI) for the Italian market. Every pistol is numbered and offers a truly exclusive detail: a dedicated serialization. The Fusion’s frame is made of steel, with a custom design in the barrel area to allow the positioning of a hand-decorated root walnut wood insert. The grips’ central frame is made of carbon fiber and features a class-5 burled walnut wood insert, hand-checkered and hand-engraved with the traditional "PB" logo. The screws that keep the grips in place were especially designed for this model and come with a special tool. Every sharp edge, pin and screw, as well as the barrel have been mirror polished by hand, to create a contrast with the matte details, providing a modern touch to the traditional 92FS. The breech bolt, the bolt release button and the trigger guard are also mirror polished, yet they are made unique by exclusive geometrical checkering. 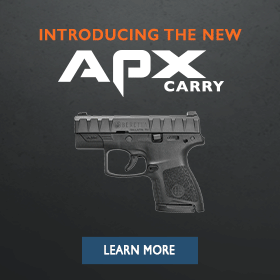 The short barrel recoil operation has a falling block locking system that, together with the single action trigger pull, ensures a perfectly precise firing. Bearing in mind military standards requiring a max. H+L of 160 mm, the Fusion project expresses its highest level of accuracy in the selection and treatment of barrels, guaranteeing its H+L ranges from 60 to 70 mm. The 92FS Fusion comes in a completely handmade case made of genuine Italian black leather. The leather is hand sewn on a wooden frame, both inside and outside. The case has embossed markings of the PB and Fusion logos and is equipped with a security lock. The set includes an extra magazine, a cleaning kit and a special folder containing the instruction manual and a card signed by Cav. Ugo Gussalli Beretta, President of Fabbrica d’Armi Pietro Beretta.